Training at the same gym as Flex Lewis allows Jeremy to see greatness first hand. He used motivation from the IFBB pro and his beautiful wife to launch a successful bodybuilding career! I started lifting weights in high school for sports. When I went to college I started power lifting. While training, I broke three pieces of bone off of my shoulder and had to have surgery. After six months of rehab, I was finally able to lift heavy again. Someone mentioned that I should try bodybuilding instead of power lifting. 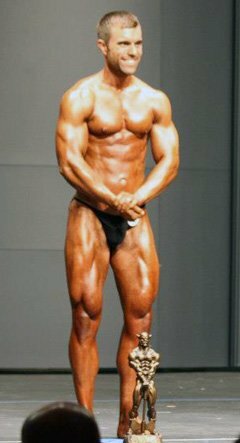 I liked the idea and ran with it all the way to my first bodybuilding show in 2008 and won the novice lightweight class. I was hooked from that point. In 2009, I took first place in the junior lightweight class and third in 2010 in the open welterweight class. I took 2011 off to get married to my amazing wife, Keri. She is my biggest supporter and I couldn't do what I do without her. Recently, I placed second in open lightweight at the 2012 NPC Tennessee State Bodybuilding Show, which qualified me for a national show. I'm currently sponsored by Pit-Bull Nutrition & Supplements, which has been a great opportunity for me. I appreciate all they do for me. I'm doing a FST-7 training routine currently. I switch routines frequently so my body doesn't plateau. I do some Dorian Yates-style training also. 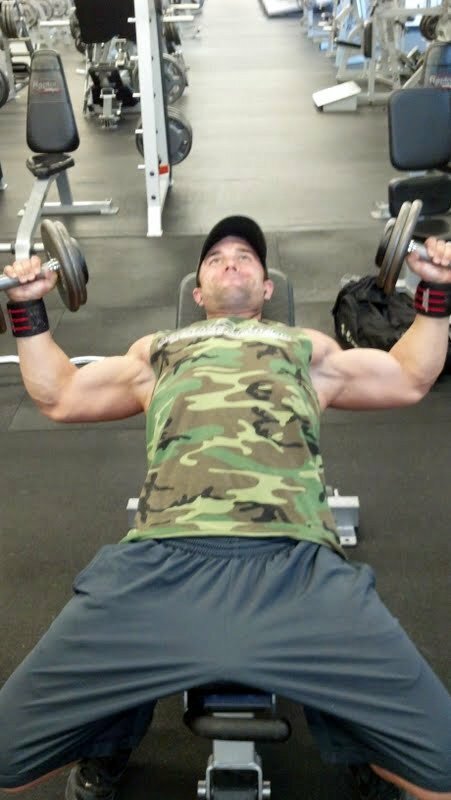 I work out at Olympus Athletic Club in Murfreesboro, Tennessee where Flex Lewis trains. I started some Y3T training, which is different from anything I've done in the past, but it's very effective. After winning my first show, I was hooked on the sport. What drives me to get better is the will to push myself to the limit. Bodybuilding fascinates me because there's no definitive way to do it. A diet or training routine that works for one person may not work for another. It's fascinating how the sport changes in every facet. My inspiration comes from my wife, who pushes me and tells me to "Train Hard and get Big." I'm inspired by family and friends who support me during contest prep. My future bodybuilding plans are to get in bigger and better shape. 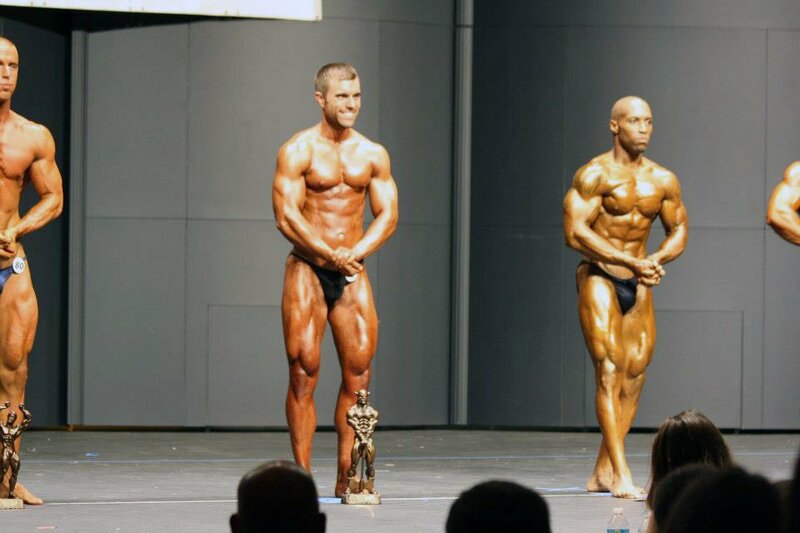 The last show I did qualified me for a national show, which has always been my goal. In the near future, I plan to train and do a national show so I can challenge myself at a higher competition. If you have a goal in mind, stay strong, stay focused, and don't let outside distractions stray you from your goal. You have friends and family to help you along the way, but it's ultimately up to you to reach your goals. My favorite bodybuilders are Flex Lewis and Branch Warren. I look up to Flex Lewis when we train at the same gym, Olympus Athletic Club. Seeing Flex train in the gym and take time to talk to people and answer their questions shows he's a genuine person. Even though he's a top-level athlete, he helps others because he's a true professional. I look up to Branch Warren because he trains all-out, all the time. Branch's intensity is motivating. Watching someone pack on that much muscle at his size is insane. 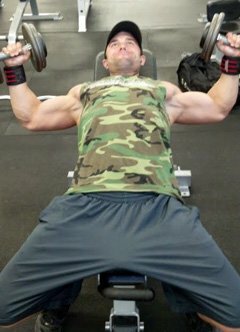 Bodybuilding.com helped me reach my goals by offering the best prices and having items available at all times. They carried all the supplements I use and the Pro Tan that I used for competition time. I had one instance with a shipment of Nature's Best Isopure where my order was damaged during shipment. I contacted Bodybuilding.com and their excellent customer service department shipped out new product to me the next day. Thank you for the excellent customer service.